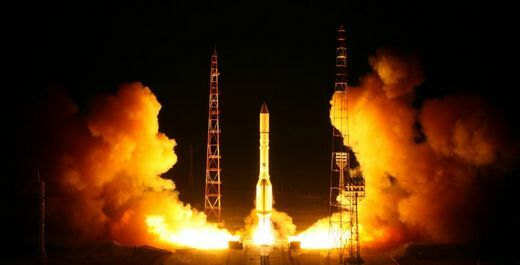 At 01:07 MSK on August 17, 2017 (22:06 on August 16, 2017 UTC) the Space and Air Defense Forces conducted a successful launch of a Proton-M launcher from Baykonur. The satellite was successfully delivered into orbit by the Briz-M booster stage. After that it received the official designation Cosmos-2520. Cosmos-2520 is apparently the "heavy communication satellite" also known as Blagovest. It is the first in a series of at least four satellites of this type that are produced at the Reshetnev ISS enterprise in Zheleznogorsk. I wonder why this Proton-M launch isn't listed on the roscosmos website. The link in the text goes to Roscosmos. So it does. Yet on that same website under Космическая Деятельност - Запуски it's missing.